The BNC Model 625A represents a major breakthrough in price/performance for signal generation and signal measurements and analysis. 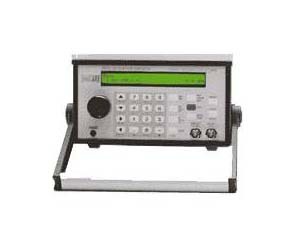 This versatile device allows the engineer to access a broad range of operating modes such as arbitrary waveform, pulse, word/data integration, function, VCO, AM, FM, SSB, FSK, and burst. The Arbitrary Waveform Generator allows you to design custom waveforms on your personal computer and download them to the BNC 625A which generates them in real-time. Arbitrary Waveforms may either be designed with a graphical Windows-based design tool or be generated point-by-point in a variety of data formats from your own application software. The TTL/CMOS SYNC output can be independently controlled which lets you create a pattern of logic pulses along with your analog waveform. This output swings 0V to +5V and can be directly drive digital logic. The BNC 625A will receive and parse waveform data in a multitude of formats. No confusing protocols or headers are required,.